My Creative Time 48 Hour Flash Sale! Good morning crafty friends & welcome to another "48 Hour Flash Sale!" This sale is for 48 hours ONLY that is going on right NOW & will end on Sunday, April 1, 2018 @ 7am PST. 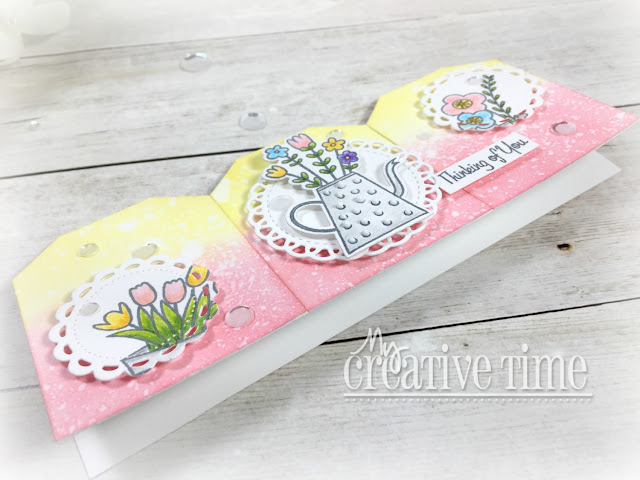 First off, I have to say that I absolutely adore these line of dies that Emma has created! 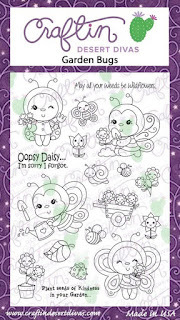 They are so fun, cute and just a wee bit whimsical!! 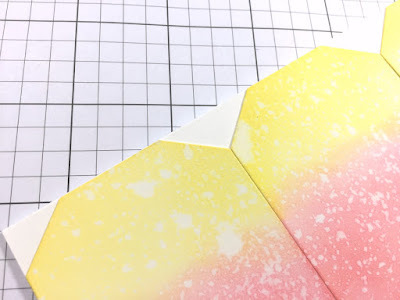 I've created three projects for you today to show you three different ways to use this die! Let's take a look!! I went for a monochromatic look by using all pink cardstock. I added a few "veins" to the petals using a black pen and also traced around the flower flap of the tag to give a little interest to the inside. And how about that sentiment? It fits perfectly on the inside of the tag and the font is a simple font, which I love! 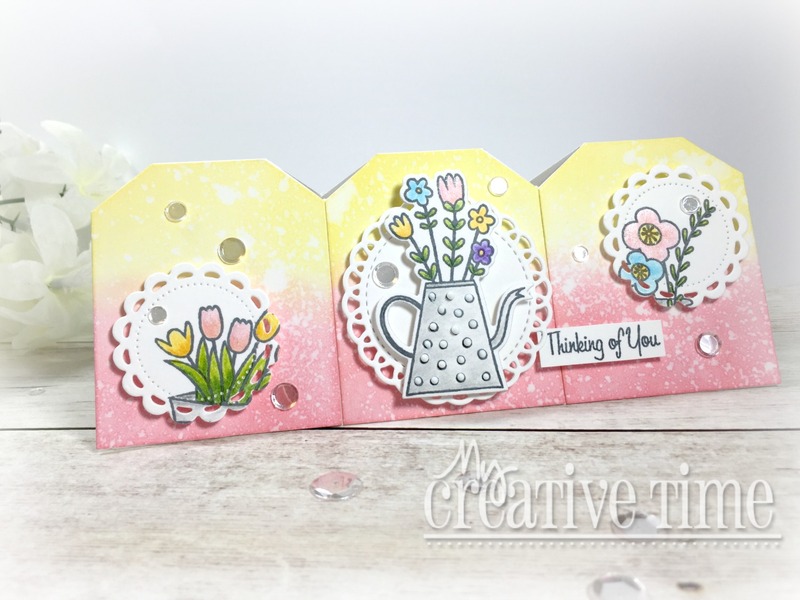 The Mini Spring Greetings stamp set is full of these tiny sentiments which will fit perfectly in ALL the Cute Tag Dies! My next project uses the tag die a bit differently. I used the whole tag on the front of a card, leaving it open. I think this creates a very unique layer to the card. 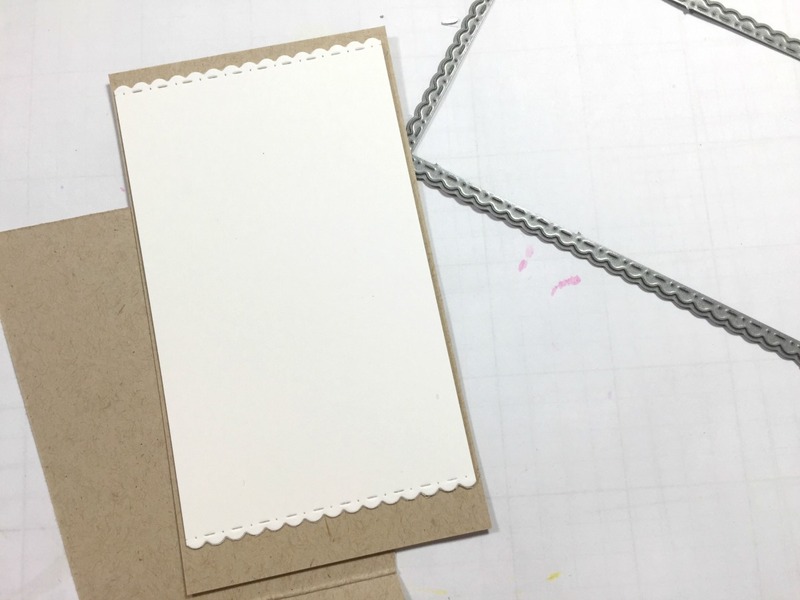 I foam mounted the tag to the largest of the Scalloped Stitched Rectangular Dies and then placed the panel onto a purple card base. 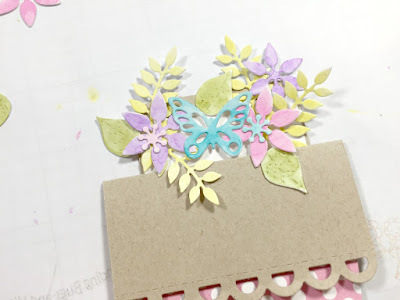 I used the same colour cardstock to cut a couple of the flower dies as well. 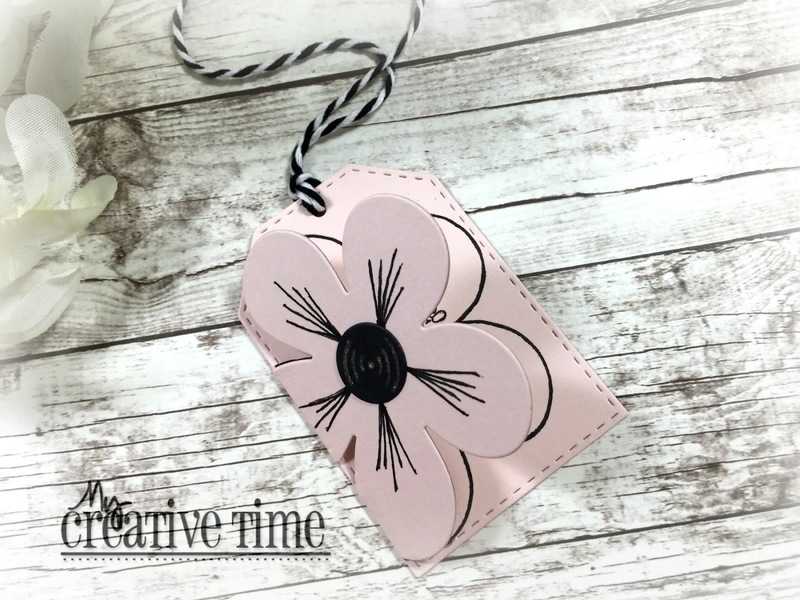 I chose another of those cute sentiments and stamped it on what would be the flap of the tag! Now onto my last project and my favourite!! For this, I didn't use the tag die at all but rather the accessory dies. 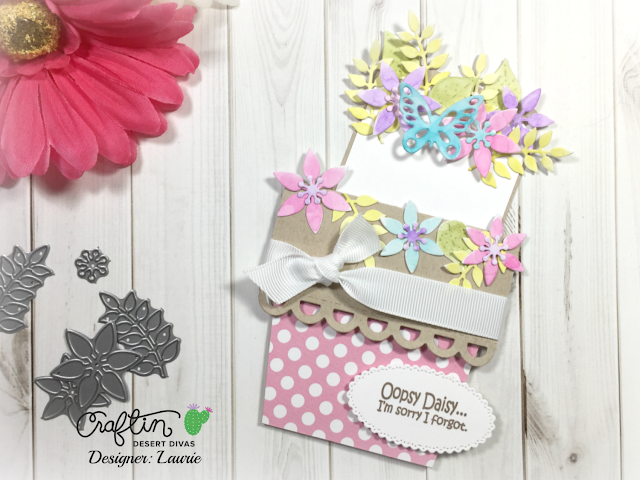 I die cut a bunch of the flowers and the centres and used a variety of Distress Inks to give them colour. 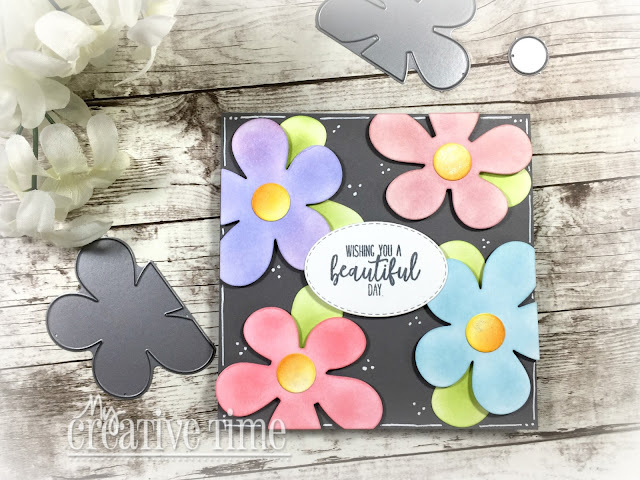 The card base is 5 X 5 inches square and fit four of the flower perfectly! 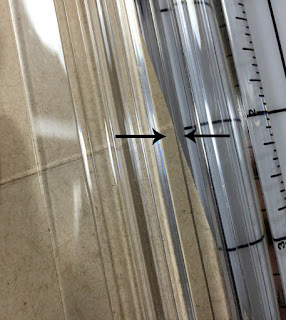 Because these dies have one edge that is flat, there is no trimming off the edges. The leaves are actually one of the dies snipped apart and coloured green! The sentiment comes from the new Springtime Smiles stamp set and is stamped onto one of the ovals from the More Scalloped Stitched Ovals Die Set. I finished the card of by adding some white gel pen details!! I hope you found some inspiration here today!! 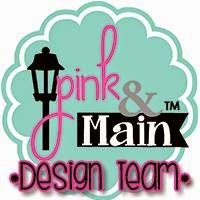 I know you'll be blown away by the creations of the design team!! Anything Goes Thursday with My Creative Time! I went through my MCT stash and came across the Stitched Restroom Peeps die. This is one of the very first dies I bought from Emma! I have not used it in quite some time so I thought today was the day! I started by die cutting two of the female images out of white cardstock and used a couple of Distress Inks to colour them. 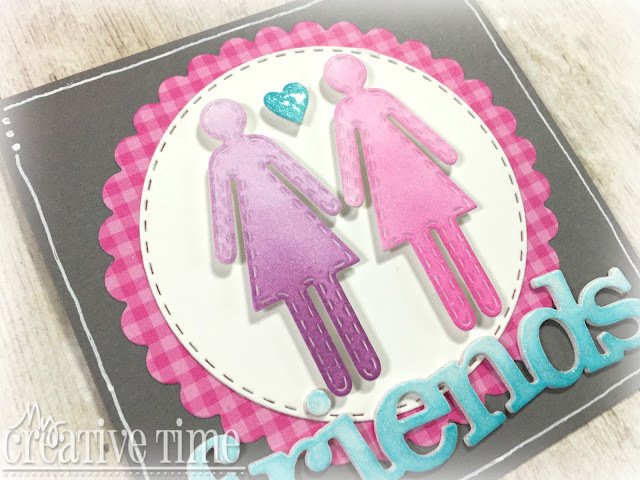 I also cut one of the "friends" dies from the Friendships Are Forever Stamp and Die Set out of the same cardstock. I foam mounted my peeps onto one of the circles from the Scalloped Stitched Circles Dies then mounted that onto the co-ordinating size of the scalloped die. 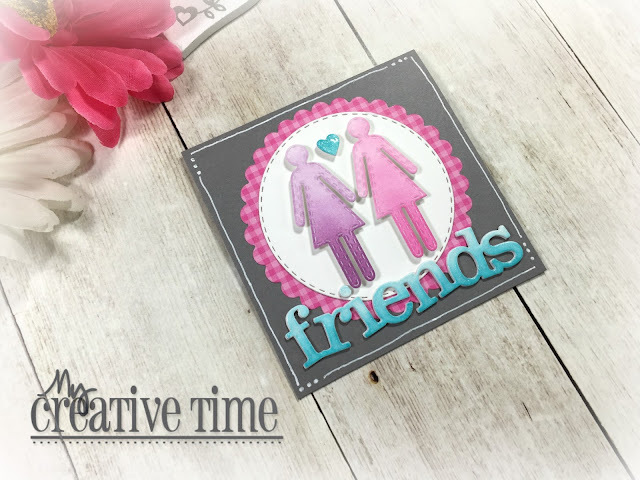 I layered about 4 of the "friends" die to give it some dimension. Everything was adhered directly to a 3 X 3 cardbase. 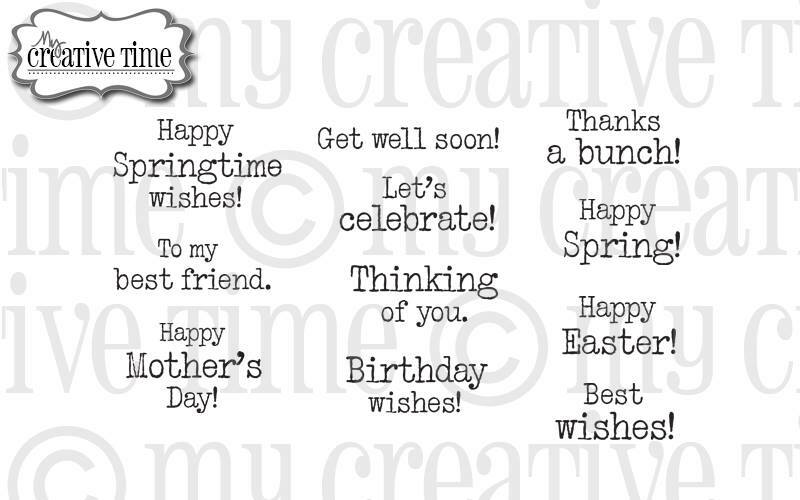 This card was quick and easy to make and would make a nice surprise to give to one of your pals! Thank you for stopping in today!! Best Sister Ever Card with Studio Katia! Hi everyone!! 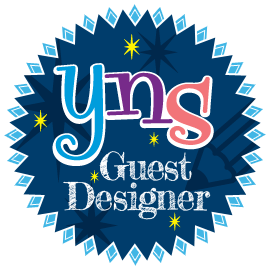 I'm super excited to be a guest on SK blog today!! 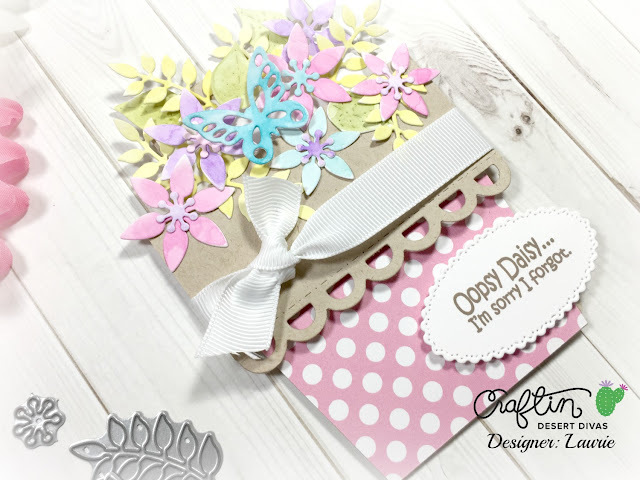 The theme is feminine or Mother's Day cards. 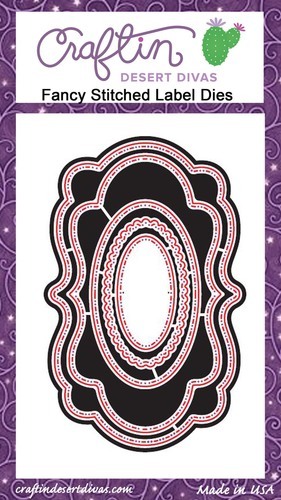 This was the perfect theme for me as I needed a card for my sister! My sister is truly my best friend and has helped me out tremendously lately so I wanted to make a card to thank her for everything. 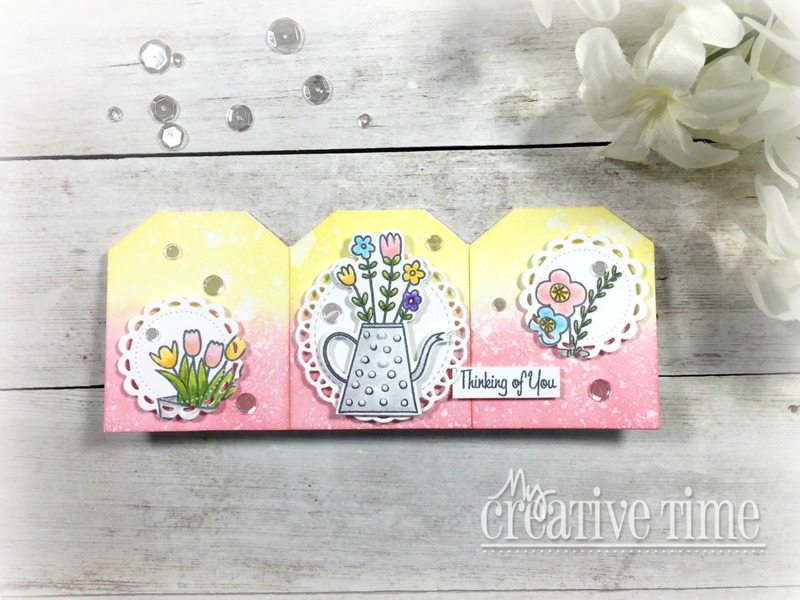 The perfect set for this card is the Best Ever stamp set and matching dies. This set will let almost anyone know that they are "The Best Ever". To give it a feminine flare, I used the Floral Trimmings which is absolutely gorgeous. 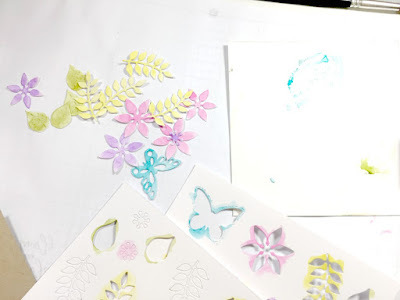 I started by embossing the florals with some Silver Pearl Embossing powder onto some Mixed Media paper. I choose several colours of Distress Inks to colour the flowers. 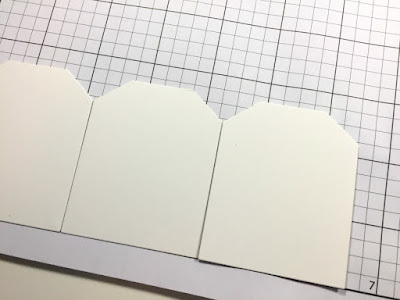 I cut down some white cardstock with the largest die from the Dotted Patterns Set 1 Die Set for a mat on my blue card base. 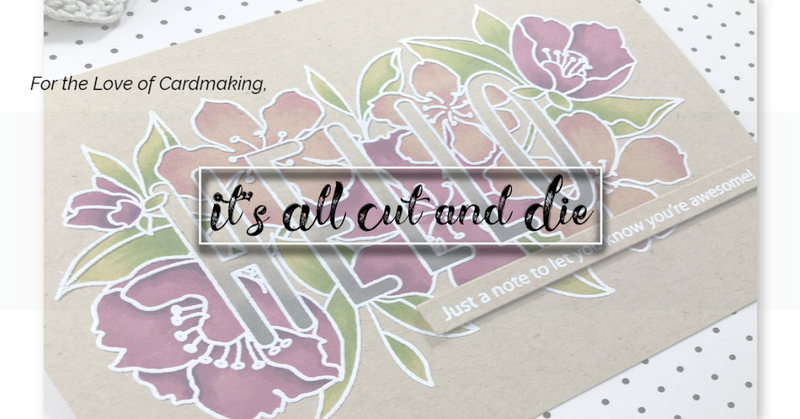 I used the same die to cut around the floral image. 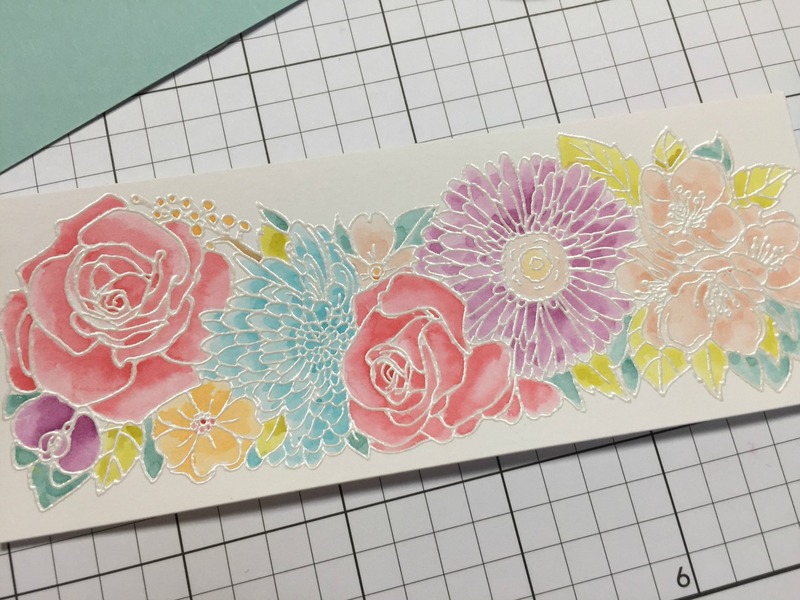 This gave me one larger floral piece along with a skinny piece. 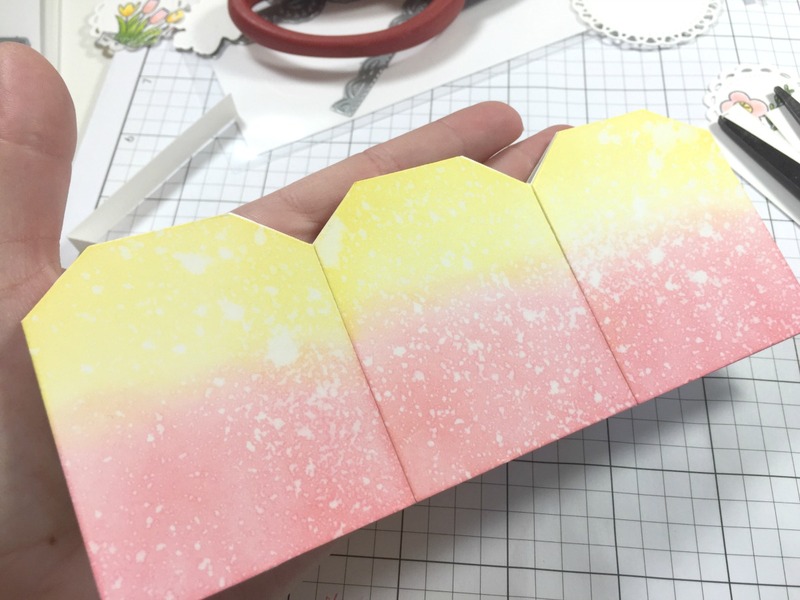 For the sentiment, I die cut the "best" and "ever" scripty dies out of white cardstock and layered them onto the same colour of cardstock of the card base. I adhered the larger floral piece onto the bottom of the white panel and the skinny piece to the top with foam adhesive. 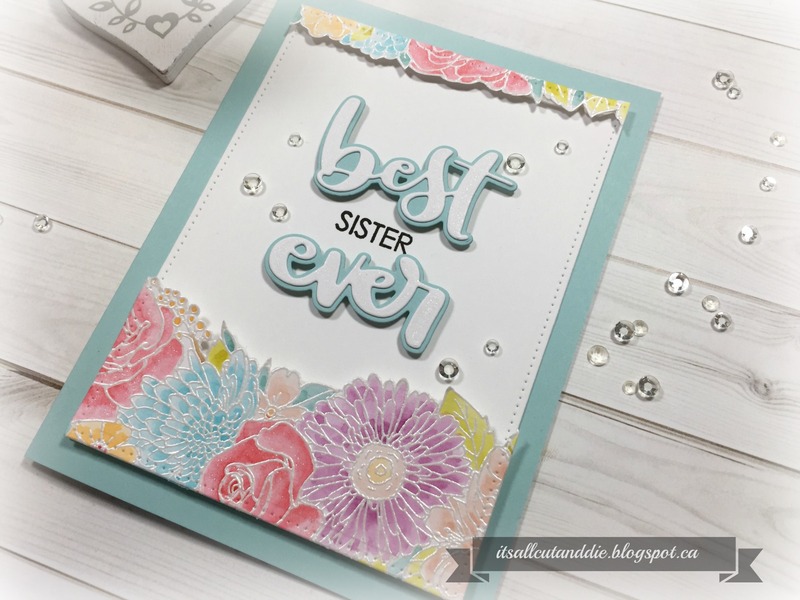 I also foam mounted the word dies and stamped "sister" directly onto the white panel. 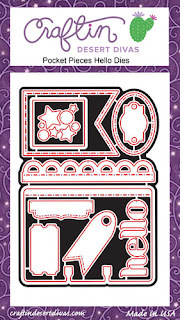 I finished the card of with a generous helping of the Sparkling Crystals Mix. I already gave this card to my sis and she loved it!! Thank you so much to Studio Katia for having me as a guest today and thank you for stopping by!! Hello friends!! Today I have a tutorial on how to make A Flower Pot Pocket Card using stamps and dies from Craftin Desert Divas!! This folded card style has been around for awhile but I thought I'd revisit it with you today! 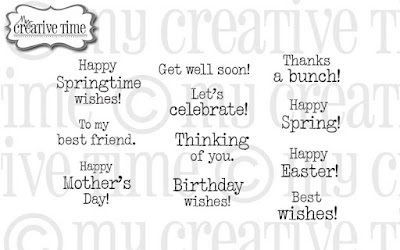 This is actually a simple card to make. Just a couple of folds and a little bit of trimming. Let's get started!! 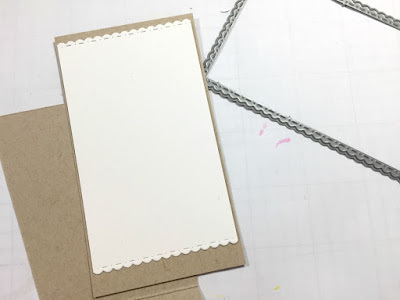 To make it look more like a pot instead of a square, keeping the card together, line the top of the card up with the cutting track on your paper trimmer and the lower corner at the .5" inch mark and cut. This creates angles and makes it look much more like a flower pot. Note: I did not trim the small flap. Now, this is where you will want to decorate the front flap. 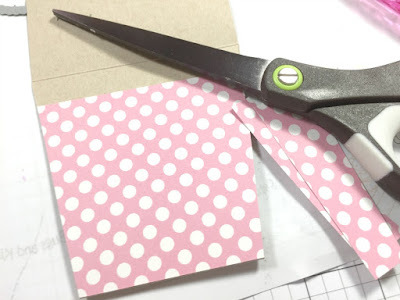 You can use a border punch or die, decorative scissors or in my case, the scalloped die from the Pocket Pieces Hello Die Set. I did have to do some partial die cutting to prevent cutting the whole die. 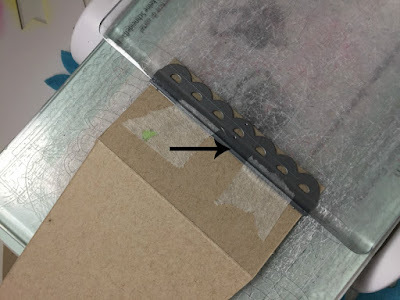 You can see here that the cutting plate is not entirely covering the die which results in this..
Now this is where it gets super fun!! 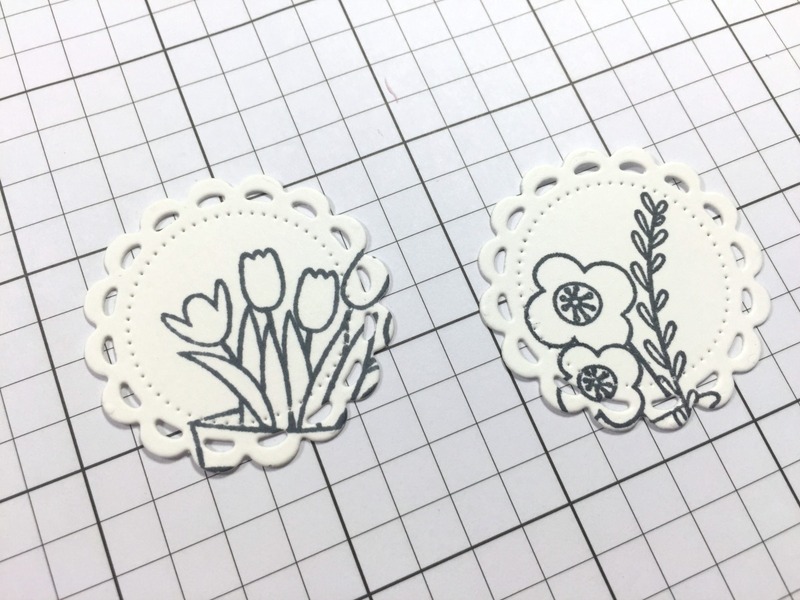 I die cut a whole bunch of flowers and leaves with the "extra dies" that are included in the Inside Scalloped Circle Dies. This die set is worth EVERY penny!! I used Strathmore Mixed Media Paper to cut all the dies. I used about 4 colours of Distress Inks to easily colour them. 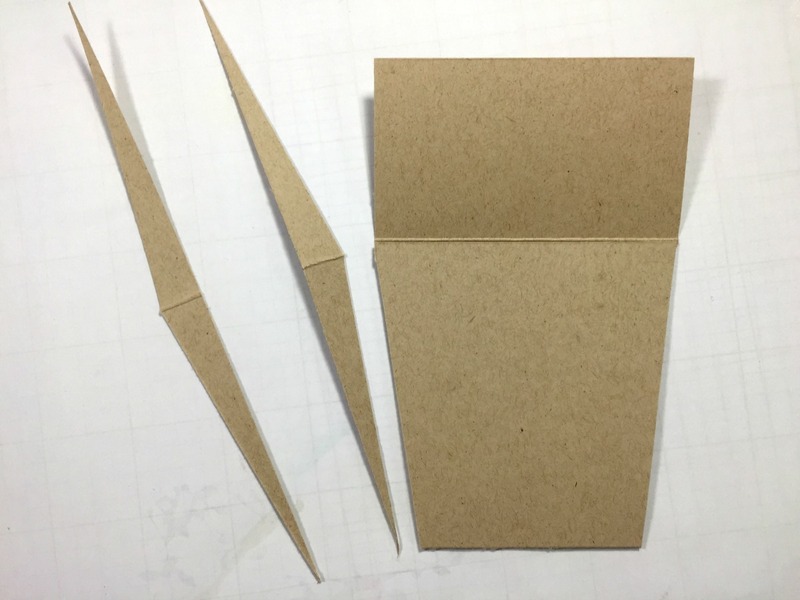 For the inner panel, you will have one piece of cardstock that measures 4.5" X 2.5". This piece will be a mat. To layer on that, I cut a piece of white cardstock using the smallest scalloped rectangle from the Fancy Frames Die Set. 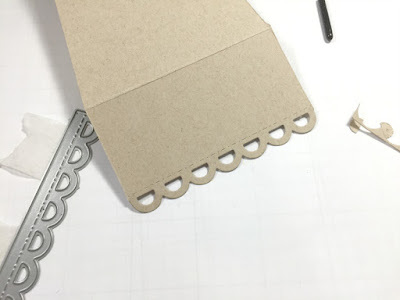 To make this fit perfectly onto the mat piece, I simply had trim a tiny piece off each side. 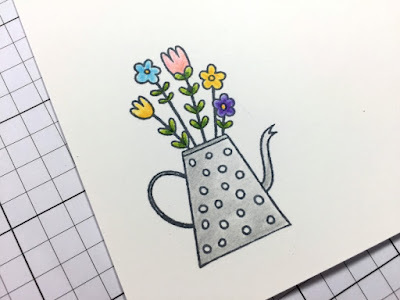 Next, I added a little pizazz to the "pot" but adding some patterned paper from the Kraft in Colour Paper Pad. I didn't really measure this piece. I just placed enough over the base, under the flap and trimmed it to size with my scissors. Next, it's time to arrange all the flowers. I started by adhering most of the greenery using tape adhesive. 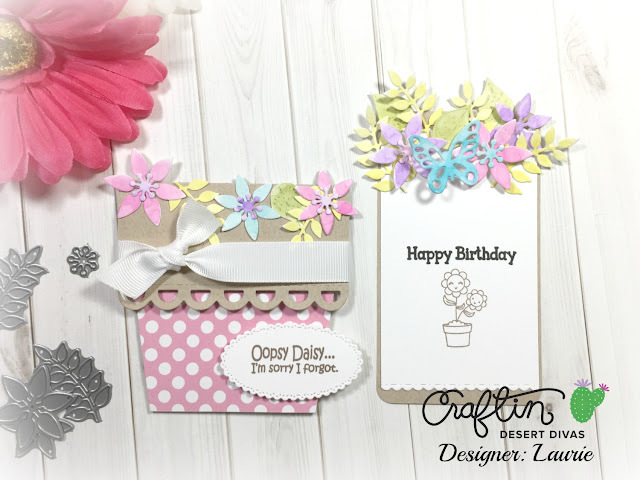 Note: the greenery and florals are adhered to the insert!! As you can see, it looks a little sparse. 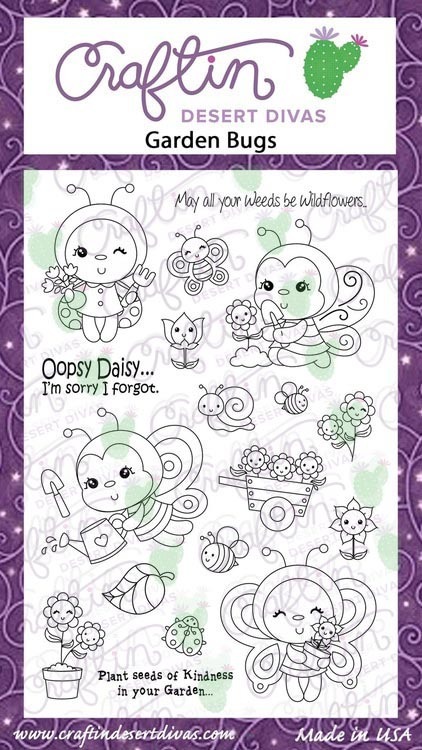 So I die cut and coloured more leaves and flowers. I also adhered some directly to the front flap making sure not glue those pieces to the insert. For the sentiment, I die cut the small scalloped oval from the Fancy Stitched Labels Die Set out of white cardstock and stamped a sentiment from the Garden Bugs Stamp Set. I thought it went perfectly with this card. 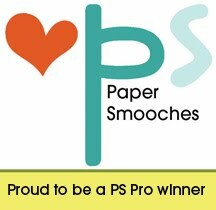 I adhered the sentiment with foam adhesive. 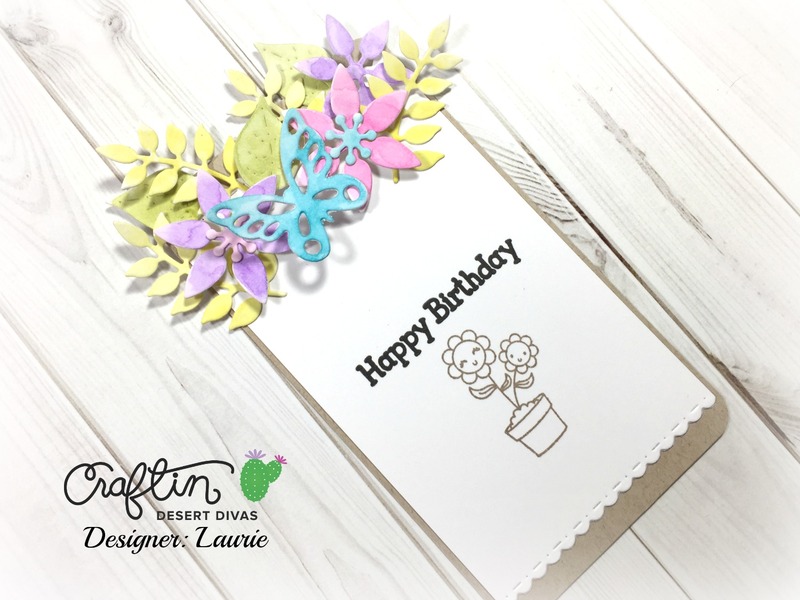 For the inside of the card, I used the "Happy Birthday" from the Summer Vibin' Stamp Set as well as some cute flowers from the Garden Bugs set. How fun would it be to receive this?! Thank you for stopping by today! I hope you got some inspiration and will try out this card or any other of the interactive cards you will see on the blog this week!! Welcome and happy Tuesday!! My project is a little different today but trust me, it does involve tags! 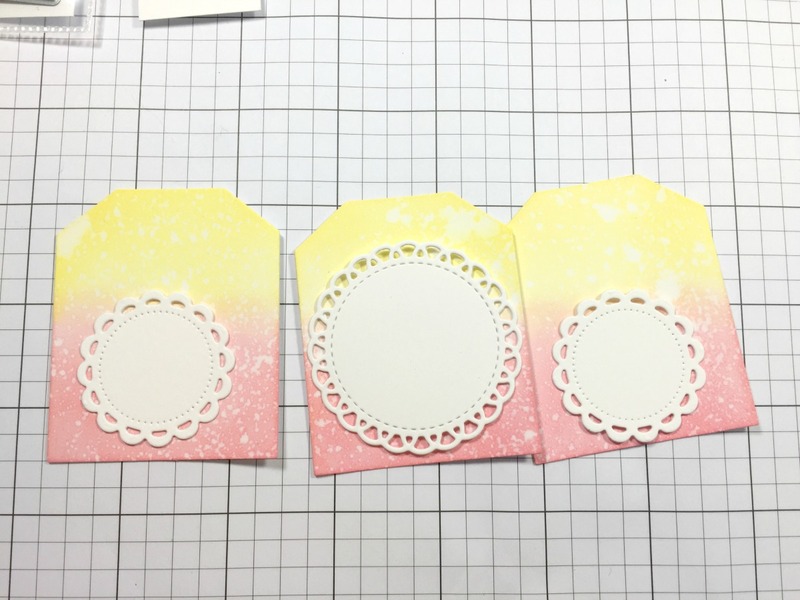 A good set of tag dies is a must have in any craft room. 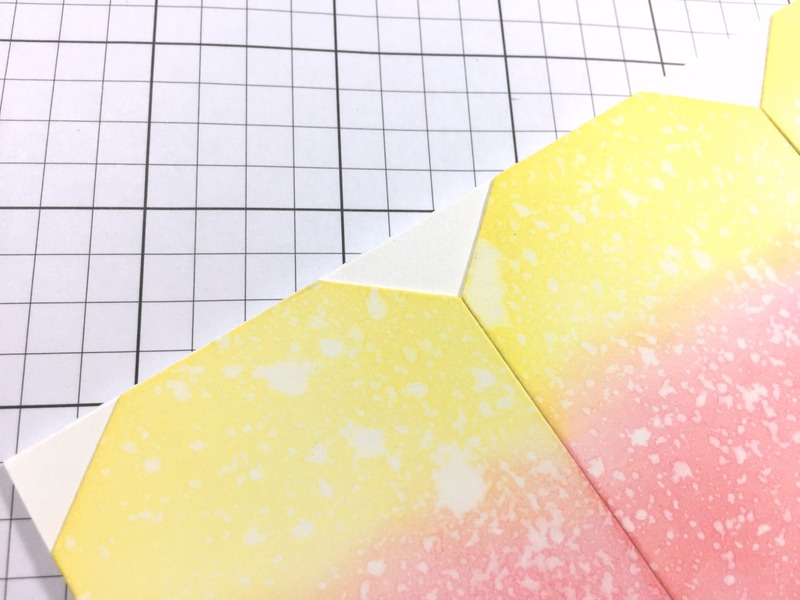 Two or three different sets is even better :), but if you're new to die cutting or just starting out on your crafty journey, here are a couple of recommendations. This is a great starter set. Two pretty designs with stitching detail and they are a GOOD size! This set is genius! 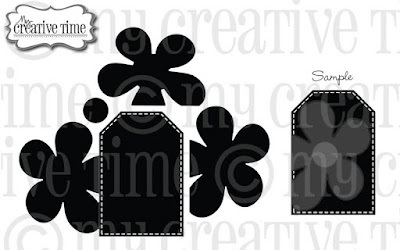 These tags perfectly layer on the Tag Dies but also come with a couple of border dies and word dies!! These dies are also large enough to use on their own!! And finally.. 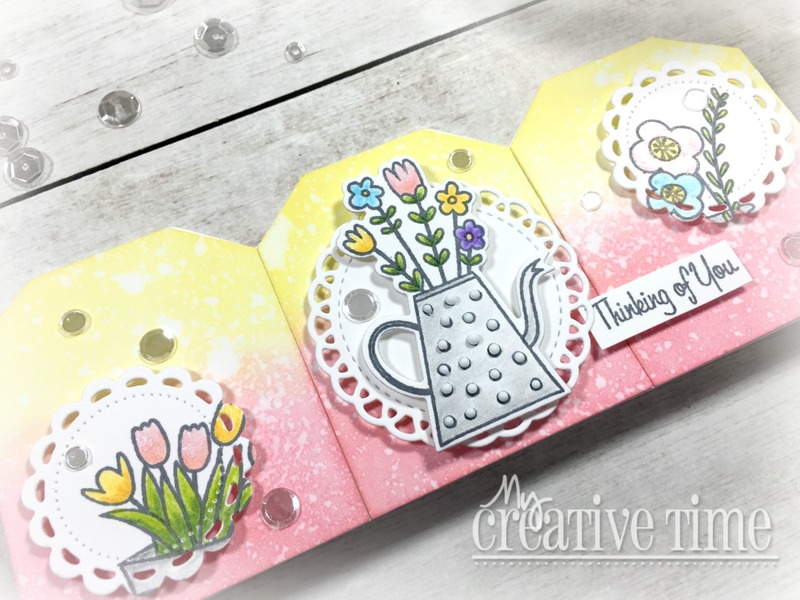 These are my current favourite tag dies and what I'll be using today! These are generously sized and do not come with a pre cut hole at the top. This opens up many possibilities!! You decided where and if you even want a hole!! Anyway, let's get on to my project!! 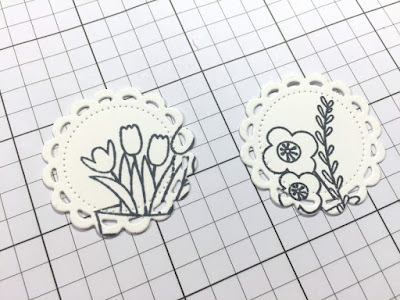 I started by die cutting three of the mid-sized tag from the Chunky Stitched Tag Dies, three times out of white cardstock. I laid them out on my grid paper to measure. The three side by side measured 6.5 inches across and almost 2.75 inches high. 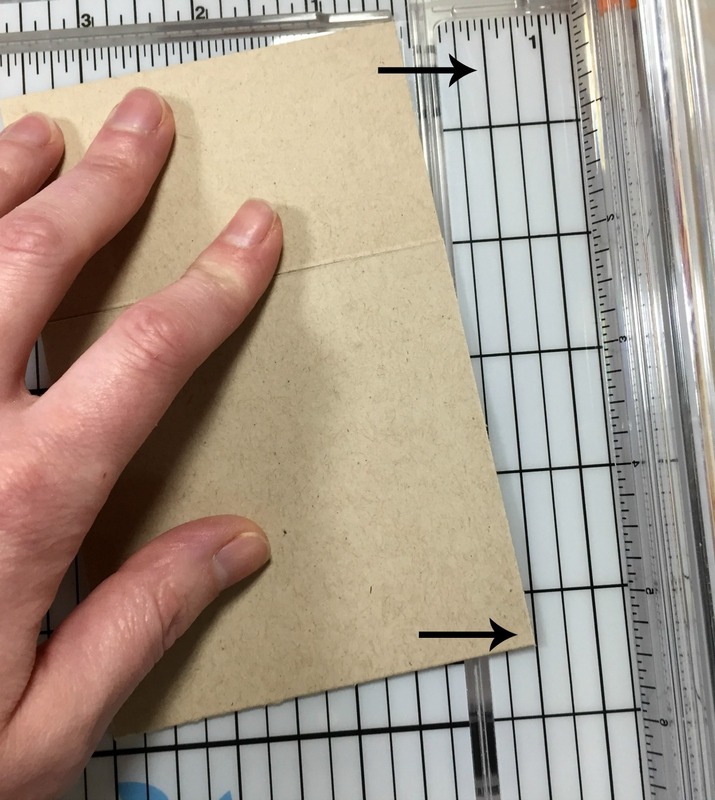 You can use any sized tag die for this card, but be sure to get these measurements before you make your cardbase!!! 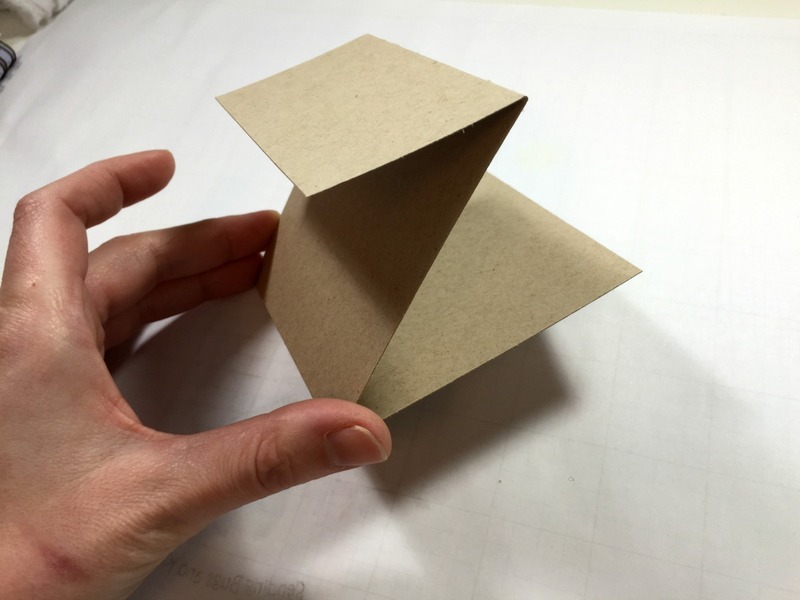 I cut another piece of white cardstock down to 7 X 7 inches square and scored it at 3.5. 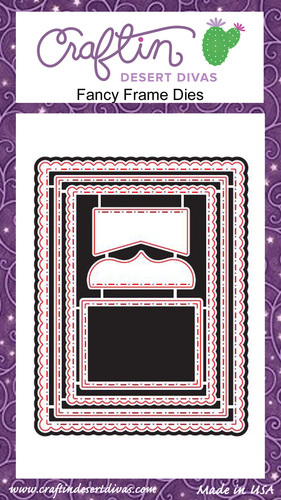 This will become my card base. I blended Worn Lipstick and Squeezed Lemonade Distress Oxide Inks onto each of the tags and sprayed them with water to give a nice splattered effect. 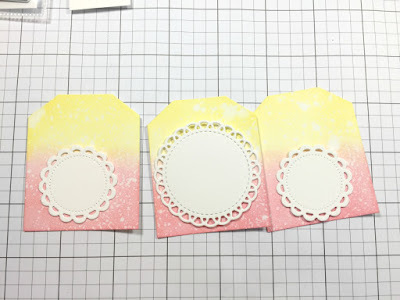 I also cut 2 different doilies from the Bunch of Stitched Doilies Dies out of the same white cardstock. 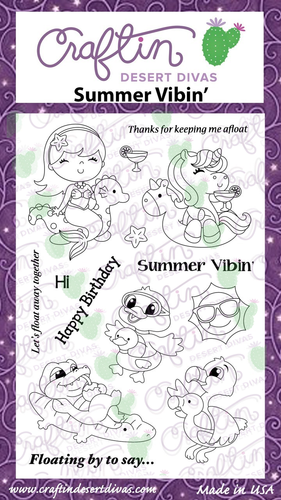 I will do some stamping on these. 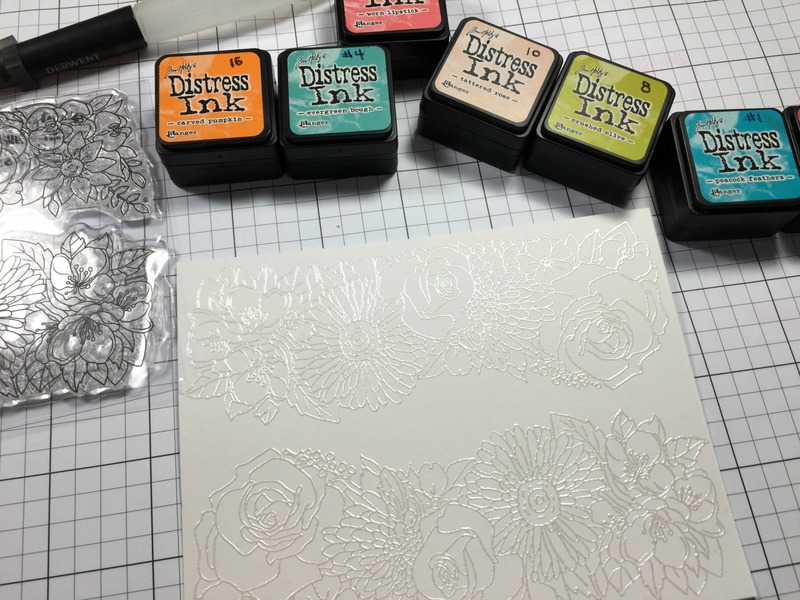 For my main focal point, I decided to stamp, colour and die cut one of the floral images from the Healing Wishes Stamp and Die Set. I did some very simple colouring using coloured pencils (or pencil crayons as we like to call them up here in these parts!). 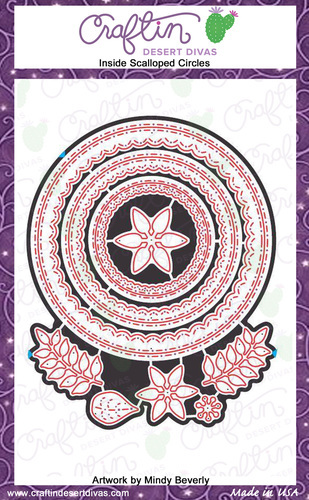 I partially stamped a couple of the other images onto the small doilies and coloured them in as well!! So now it's time for assembly. I adhered each tag to the card base that I created. I made sure the first tag was flush against the left hand side and exactly at the top fold. 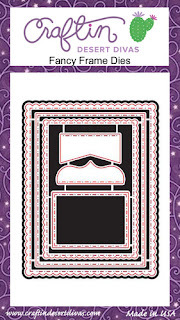 Because I made the card base larger than needed, I had to trim the right side as well as the bottom. I used my guillotine trimmer for this! Next, I trimmed around each tag die with scissors, this being the end result.. Very cool, tag shaped card!! All that was left to do was adhere my doilies to each panel using foam adhesive and add a sentiment! 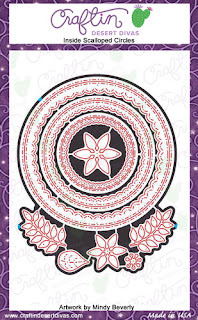 I had to stagger the doilies slightly to accommodate the sentiment, which also comes from the Healing Wishes set. I added a bit of detail with a clear sparkle pen, some Nuvo Drops in White Blizzard and some clear confetti sequins. I absolutely ADORE how this turned out!! 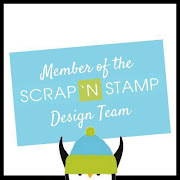 And I'm also in love with that stamp and die set!! 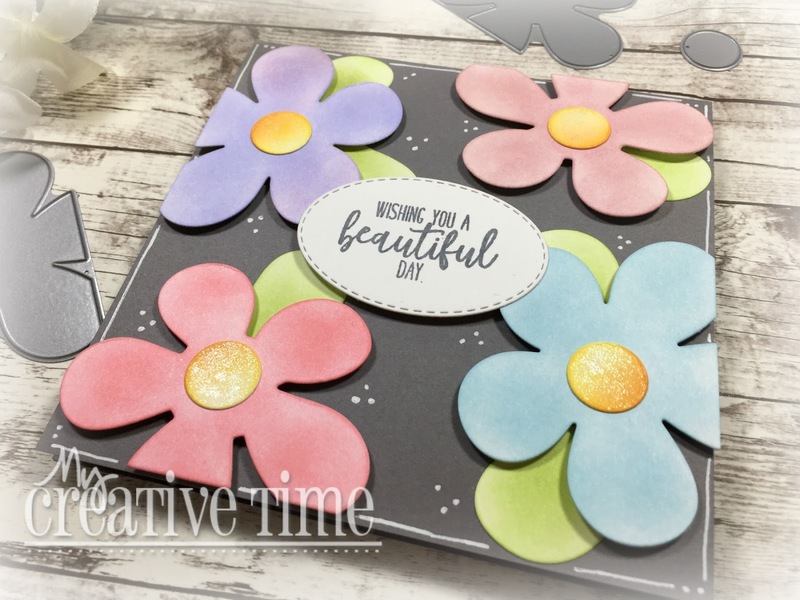 My Creative Time 77th Edition Sneak Peek Day 2! 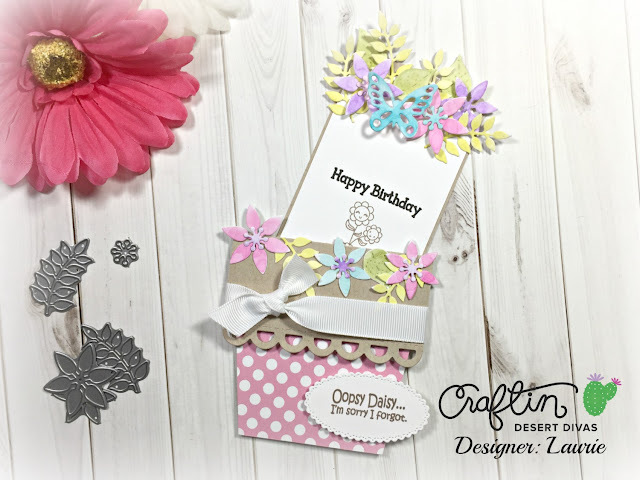 Stretching the use of your Dies! 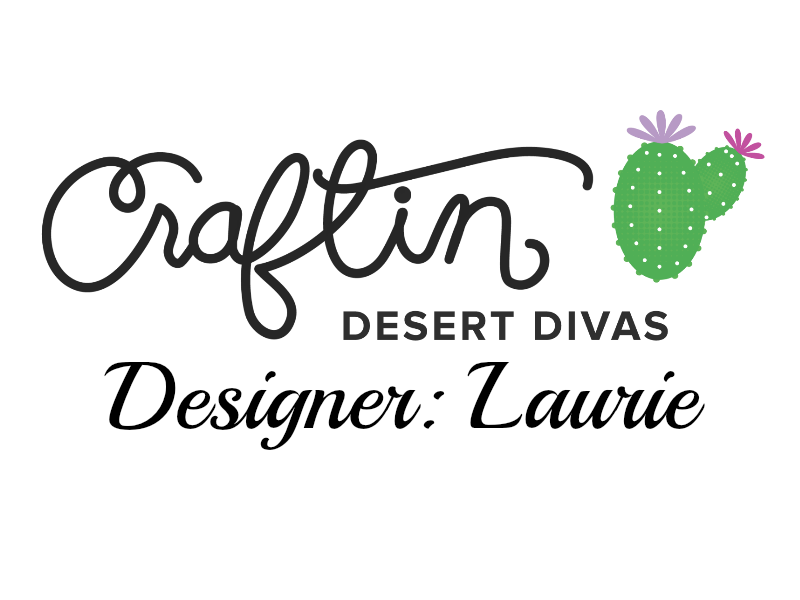 Craftin Desert Divas Sneak Peeks! Made In Minutes (Kind of) with My Creative Time!